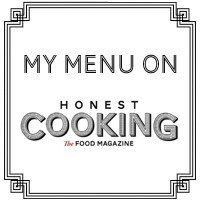 So happy and excited to announce that I’ve just added a new blog’s page called La Mia Cucina Americana, traditional American recipes that I love to cook and share with my family and friends. This is my personal tribute to a kitchen still not very popular in my homeland (Italy), a “virtual” invitation to taste new, delicious dishes directly from my American kitchen (la mia cucina Americana). 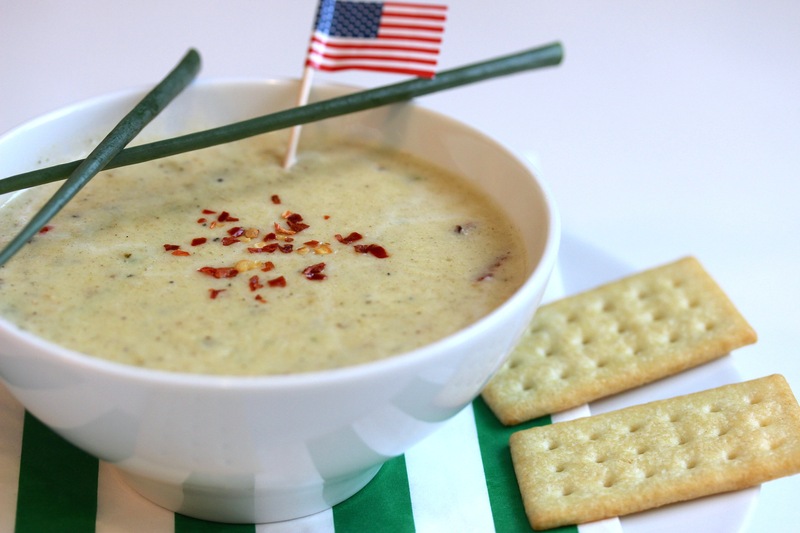 New England Clam Chowder is a soup made with clams, potatoes, bacon and milk, a dish from the traditional American cookery. Originally from the northeastern States of the Country (Maine, New Hampshire, Massachusetts, Vermont, Connecticut and Rhode Island), is appreciated and consumed all over the US. Despite the combination of the ingredients may seem bizarre (at least according to the taste of Italians), this soup is actually very tasty, delicate and incredibly creamy. New England Clam Chowder is usually served with saltines (corresponding to the Italian crackers), oyster crackers (hexagonal small crackers) or edible bread bowls (typical tradition of the city of San Francisco). Cook Time : 40 min. Scrub clam shells with a kitchen brush, then wash them very well under cold running water. Put the clams in a large pan with a sprig of parsley, cover with the lid and cook over medium heat until the clams will open. 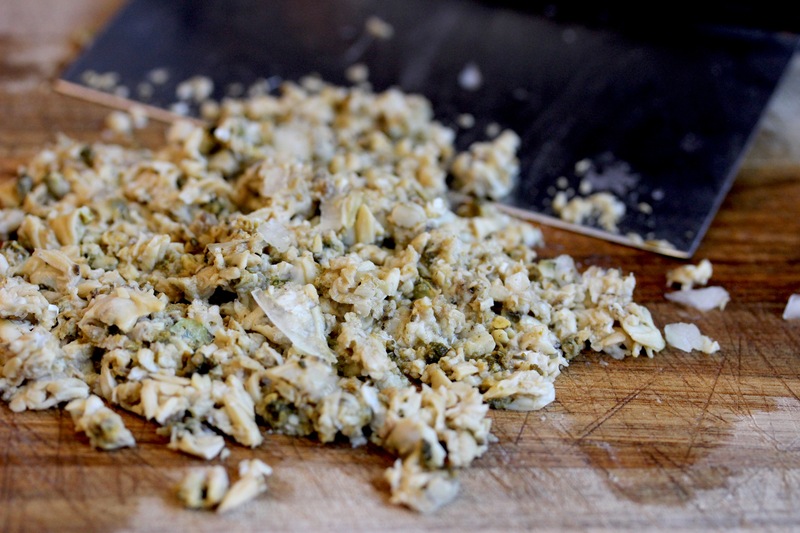 Remove clams from shells and chop finely. Filter the cooking clam juice and preserve it. 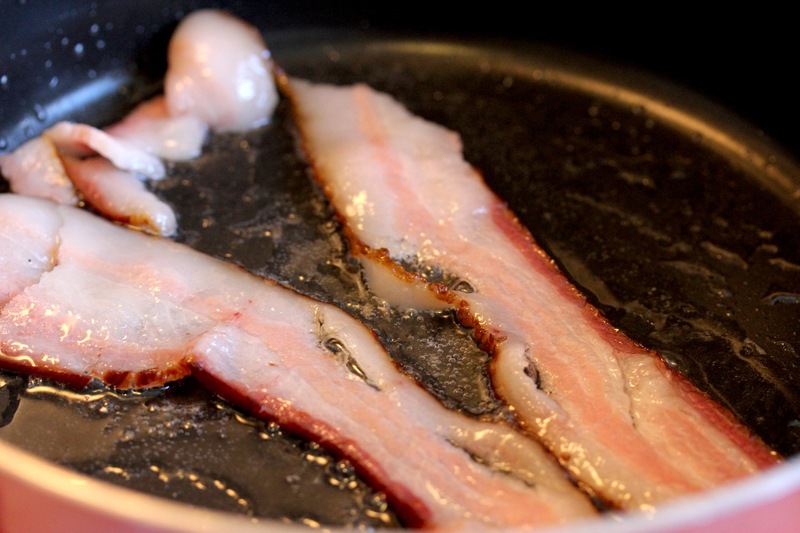 In a medium saucepan, fry the bacon until crisp and the fat is been released. Remove it from the pan and crumble. 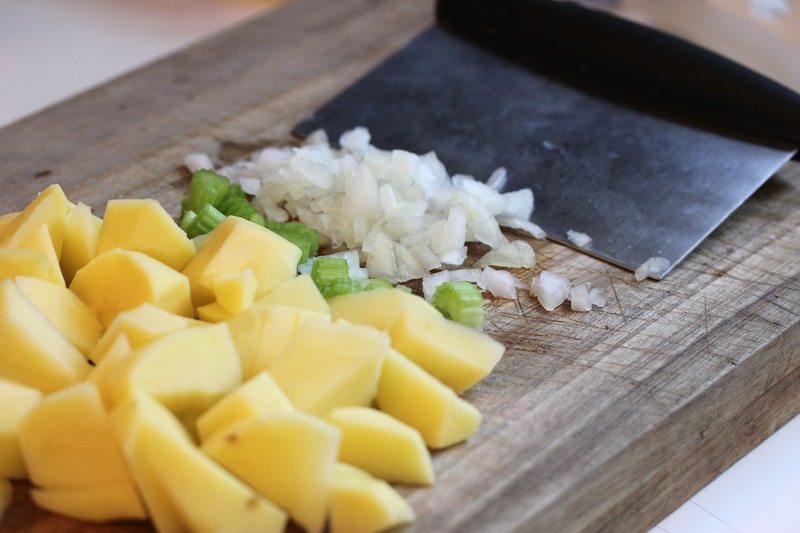 Sauté onion and celery in bacon fat for a few minutes, then add water, potatoes and clam juice. Bake for about 20 minutes or until potatoes are tender. Add milk, cream, clams and crumbled bacon. Season with salt, pepper and chili flakes. Simmer until the soup begins to thicken. Remove from heat and serve hot with crackers. For this recipe you can also use canned clams. The recipe recalls for whipping cream (unsweetened of course) because in the USA there is no Italian cooking cream.